The ELS internet portal is addressed to secretarial and administrative staff. ELS provides on-line language courses for the learning of five languages in a business context. The target languages are: English, French, German, Italian, Spanish. The information for the Case Study was collected during an interview with Lorenzo Martellini, Project Manager at Pixel and ELS project coordinator. The background of the ELS project is based on the evidence that, within the small and medium sized companies, the first contact with the “external world” is made through the secretarial and administrative staff. This professional figure usually has low or medium skills in foreign languages. This may represent a weakness for the entire company. There is therefore the need to provide these professional profiles with the necessary language skills so that the company theu work for can take advantages of the opportunities offered by the European market. Well prepared office staff with specific skills in foreign languages can allow the company to create transnational contacts . The ELS project intends to satisfy this specific need, enabling the secretarial and administrative staff to acquire the necessary linguistic know-how. The project target groups are: people working in multilingual context; secretarial and administrative staff; language trainers and teachers; students; job seekers. The project target languages are: English; French; German; Italian; Spanish. The main objective of the ELS project is to develop the language skills of the office staff throughout Europe in order to help European companies promote their businesses. This objective is pursued through the creation of the ELS Internet portal for language learning. In order to achieve the ELS project objectives, an Internet portal has been created containing a Business Language Training Package which has been developed in accordance with the Common European Framework of the Council of Europe. Each level of the training package consists of 10 units specifically developed for office staff covering topics such as welcoming visitors, planning business trips and organizing meetings. For each language, learners can choose between 2 course levels: Basic user (A2>B1) or Independent user (B1>B2). The units contain interactive activities to improve the user’s reading, writing and listening skills in the target language. These activities include dialogues, practices, games and simulations developed in a business context. The assessment of the language courses is based on continuous monitoring of the learning process. Progress reports can be obtained at any stage of the course and a final record of achievement can be displayed and printed out once all units have been completed. The ELS Internet portal provides on-line language courses focusing on the learning of five languages in a business context and specifically addressed to office staff; an Online Glossary of business terms available in 9 different European languages (the glossary contains over 1000 words and phrases frequently used in the business environment); nine Business Training Culture modules that expose the learner to the specific features of the business environments of France, Germany, Greece, Italy, Norway, Romania, Slovakia, Spain and United Kingdom; a Personal Development module which has been designed for those who wish to create and maintain success for themselves and those around them within a continuous development model. 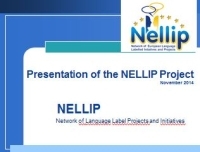 Pixel, the ELS project coordinator, decided to submit the application for the European Language Label with the aim to ensure a greater visibility to the project and to guarantee an official recognition of its quality. Pixel initial expectations were met for a number of reasons. First of all the project gained further visibility thanks to its presentation in the framework of important national (i.e. the Language Label award ceremony that was held in Rome on 18-19 December 2006) and international events (i.e. the International Fair of Language Learning, held in Brussels on 20 September 2009 and the "Language Teaching for Creativity - European Language Label Conference", held in Tallin on 16-17 April 2009 - http://ec.europa.eu/languages/news/20090416-conference-on-creativity-in-language-learning_en.htm ). Also, the project visibility was implemented thanks to the insertion of ELS in the European Database of quality projects and then selected for the European Language Label. The greater visibility of the project promoted its quality because the Label is awarded according to qualitative criteria. First of all, Pixel put the Label on the project portal and on all the documents related to the ELS project: it was the best way to certify the quality of the project itself. All the dissemination activities too were realised in the name of the brand we had received. Following the award, Pixel decided to submit a new project to exploit and further develop the good results obtained in the framework of the ELS project. The main impact of the Label on the ELS project is related to the possibility to further develop the project activities in the framework of a new European project entitled [email protected] The main objectives of the ELS @ Work project is to further improve the ELS Portal and to make it available to other entities (schools and businesses) not involved in the ELS project, in 4 different European countries. 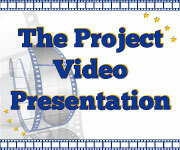 The Label received by the ELS project certainly contributed to the approval of the [email protected] project. In order to develop a quality project in the field of Language learning, Pixel advices to start from a direct involvement of the target group: the project can be a successful one if it answers to real and concrete needs. The beneficiaries should be involved in the definition of the project objectives and activities so that the expected results will be consistent with their expectations. For the ELS project, Pixel asked for a direct contribution by language teachers and language trainers. Secondly, it is necessary to carry on a research over what has already been done in the specific domain the project refers to: a successful project should enhance the existing best practices. For this reason, in the first part of the project, Pixel reviewed and spread the existing qualitative initiatives of language teaching. Then, it is necessary to be clear about the objectives and the expected results: to communicate them as clearly as possible is the best way to acquire a positive visibility towards the target groups. Finally, it is necessary to refer to the criteria used to award the projects and the current policies defined by the European Commission: the coherence of the project with those criteria and policies represents a point of strength. There are several ways to exploit the awarded initiatives. First of all it is helpful to put the ELL logo upon all the documents produced in the framework of the initiative. Secondly, the presentation of the project within national and transnational events in order to support a dissemination through the word of mouth of the project itself. - Promotion of multilingualism. The project promotes the learning of 5 different languages, focusing on the specific acquisition of skills related to the office environment. - Promotion of language learning for specific purposes. The project is specifically addressed to secretarial and administrative staff who need to acquire business language skills covering topics such as presenting the company, welcoming visitors, participating in meetings, negotiating and organizing business trip. - Promotion of new approaches to language teaching and learning (e.g. CLIL, use of ICT etc). The language courses are accessible online on an interactive platform, exploiting the potential of new technologies. According to ISFOL, the ELS project is to be selected for the case studies, first of all because of the specificity of the material produced. ELS developed an Internet portal containing a Business Language Training Package addressed to the secretarial and administrative staff in order to improve their linguistic skills in 5 different European languages. The project also represents an adequate answer to the needs of small and medium sized companies, helping them to create transnational contacts, through the acquisition of specific business language skills. The ELS project was also innovative because it integrated the language learning process with specific on line training modules on business culture related to 9 different European countries. Another strength of the project is represented by its capacity to anticipate the innovation processes: in 2006 ELS was one of the first portals for online learning of 5 business languages specifically addressed to office staff. This innovative tool is still used today both in Italy and in Romania. Message: This case study is very inspiring and I think that the recommendations of the project coordinator are extremely useful for those wanting to develop a project.